A chatbot is a computer program designed to simulate conversation with the people using it. Some key considerations are the relevance of the health problem and the solution, the attractiveness of the interface, privacy protection, and whether the bot can integrate health records. While the program can be complex and capable of learning and formulating algorithms, chatbots can also be based on simple rules that require no coding ability. Given the rising interest in chatbots for health, Basil Strategies is partnering with Pastel Health, a French start-up that produces chatbots, an open innovation chatbot platform, and chatbot challenges. Chatbot Challenges for Health are one-day events during which teams, formed among the participants, identify a health problem, create a prototype chatbot, and compete for the possibility to develop their prototype into a final product after the challenge. 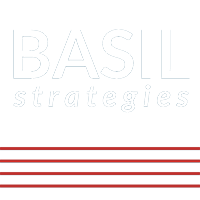 Basil Strategies brings to the partnership, its digital health network and deep understanding of digital health tools, events, and communication. Denise Silber, founder of Basil Strategies and an eHealth pioneer and strategist, was recently identified as #11 social media influencer in healthtech globally. To participate: https://www.eventbrite.com/e/chatbots-for-health-challenge-smartbot-hackathon–tickets-37304651216 Participants will gain practical experience in using design thinking, co-construction, and open innovation to develop a new interactive solution to an existing problem, and all in one day. The October 21st Challenge will take place with the support of the Cambridge Innovation Center and French Tech Hub, organizations devoted to the creation of value through innovation. French Tech Hub — a growth accelerator for startups in the US — is excited to be a partner of this event, in its mission to help innovative entrepreneurs accelerate their growth in the U.S. Contact Basil Strategies or Pastel Health regarding sponsorship opportunities.